There’s a bright blue sky in the PNW and the temperatures are starting to rise! And it’s AAAWE-SOME! If it’s not sunny and warm where you are, get on a plane and come here. Like right now. And hurry, because I feel like me telling you to come here right now to enjoy the sunniness might jinx it. The weather here can be so sneaky like that. Every year during this spring-but-not-quite-summer time of year I feel myself beginning to get a little giddy. Ready to spend more time outside and to reduce the BAJILLION layers of clothes I wear every time I venture out. I’m ready to explore the great outdoors, ready to hit up the park with a picnic basket in hand with the family, and scheduling some outdoor potlucking with friends. Just thinking about it makes me jump out of my chair and shout “WAAAHOO!” Too much? With potlucks and picnics on the horizon, let’s get ready to cook up some tasty food to take with us. 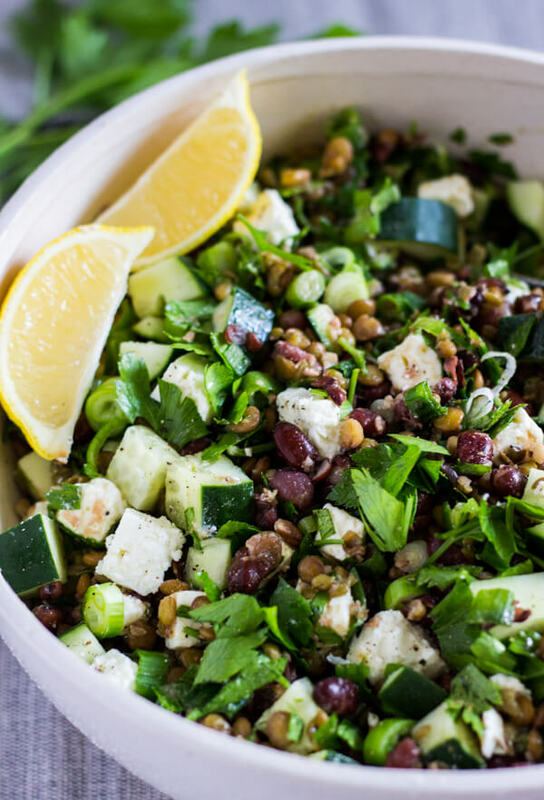 This three bean salad is just the thing! It’s easy, uber healthy, filling, perfect for a potluck of picnic, and tastes awesome. What else could we ask for? Your friends and family will love it. adzuki (reddish purple bean) –> An East Asian bean that is naturally sweet in flavor and help manage insulin receptors in our bodies keeping blood sugar at a normal level. They are packed with essential nutrients such as folic acid and provide high levels of manganese and calcium. mung (round, bright green bean) –> A staple in Iran, India and China. Mung beans contain a wealth of vitamins (A,B,C and E) and minerals (iron, calcium, magnesium, and potassium). green lentil (flat, light green bean) –> A bean we are more familiar with here in the United States. Boasting the second-highest ratio of protein per calorie of any legume (after soybeans) and they are rich in both soluble and insoluble dietary fibers, iron, folate and magnesium. Round of applause for these awesome and nutritious legumes! 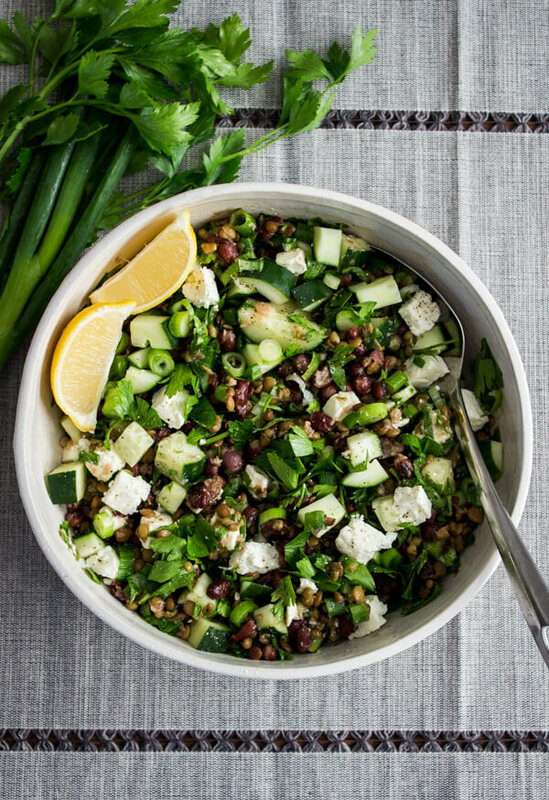 Amping up the nutritional value of our three bean salad a little more, add some diced cucumber, fresh parsley, green onions, and feta cheese (omit for a vegan dish). 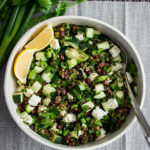 Lastly, finish off this salad magic with some lemon, cumin, and olive oil for a flavorful, fresh, and filling salad that you can devour as either a main dish or a side to be served with grilled chicken or fish. While the most time consuming part of this recipe is waiting for the beans to cook, it makes for ample time and a perfect excuse to research a beautiful local park, to call up your friends, and plan that impromptu potluck. Because the best part about making tasty healthy food (besides eating it) is sharing it with those nearest and dearest. A fresh and flavorful Three Bean Salad perfect for outdoor picnics and potlucks! Tasty as a main dish or as a side with grilled chicken or fish. Combine the adzuki beans, mung beans, and water in a large pot and bring to a boil over medium high heat. Continue to boil for 5 minutes. Reduce heat to low, cover and simmer for 1 hour. Drain and rinse beans with cool water. In a large bowl combine beans with the rest of the remaining ingredients. Mix well. I made this for my family and it was so yummy! 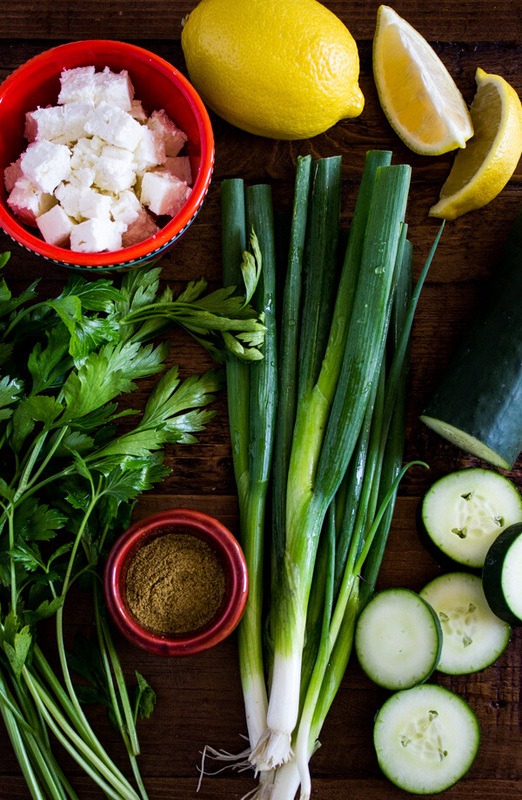 I love finding new recipes that are both healthy and delicious. I will have to stock up on adzuki beans so I can make this often! Sounds delicious! I can’t wait to try it! Do you know if the beans would be available at Chucks or Whole Foods? Hi Jeri! 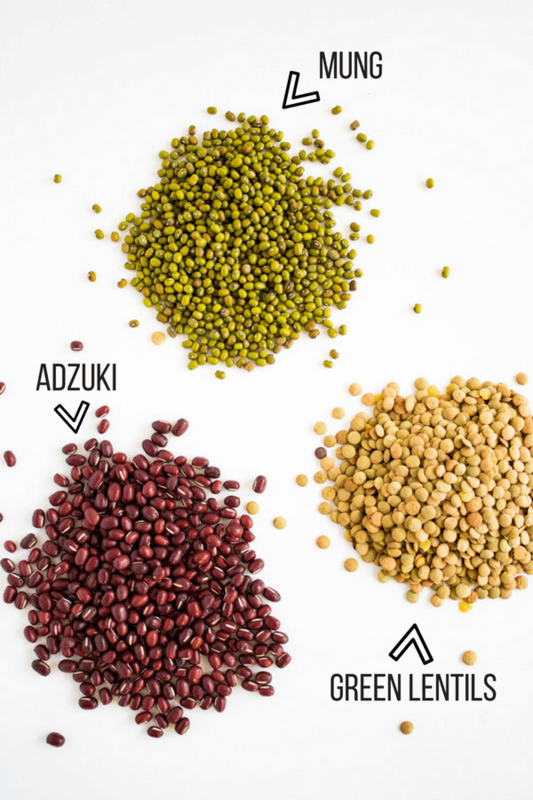 You can most likely find green lentils at either Chucks or Whole Foods but I’m not sure about the adzuki and mung beans. If you are unable to find them in the store I’ve created some links within the post that will direct you to a brand that I recommend and you can purchase them through Amazon. Enjoy! This is an excellent alternative to the standard run of the mill garden salad. I love it!